New Delhi : Only five percent of India’s women get counselling for thyroid disorders during pregnancy, increasing the risk of a slew of medical complications, including miscarriages and postpartum bleeding, a white paper on the issue said. It also said that less than one percent women in both public and private hospitals get complete Thyroid Panel tests routinely done currently in the country. The prevalence of thyroid diseases in India currently was 10.95 percent, almost double the diabetes cases at 5.4 percent of the country’s population. Treating hypothyroidism is costlier than abortion it triggers, said the white paper. The white paper on ‘Impact and Assessment of Thyroid and Influenza disorders on Mother and Child Health’ was jointly launched by business chamber FICCI and Frost and Sullivan, a company working to address global challenges. It said there was not much difference between public health service providers and private healthcare settings when it comes to screening for thyroid. 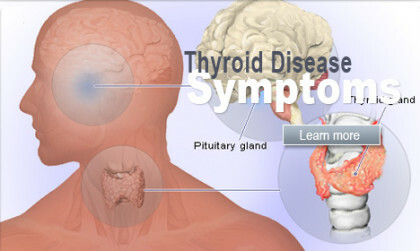 The prevalence of thyroid screening ranges between 5-10 percent in government hospitals and 20-25 percent in private hospitals. The impact of thyroid disorders is not visible early enough; however, optimum levels of thyroid hormones during the first three months of pregnancy are critical for the brain development in foetuses. In India, hypothyroidism rate is 1 in 800 neonates as against a global average of 1 in 3,800. The white paper also advocated the urgent need for influenza vaccination for all pregnant women. “A significant number of clinicians interviewed endorsed the need for screening test for thyroid disorders and most agreed to give flu vaccinations to pregnant women. Currently it is a gap area and many hospitals do not do this routinely,” said Ankita Kothari, industry analyst, Frost and Sullivan.